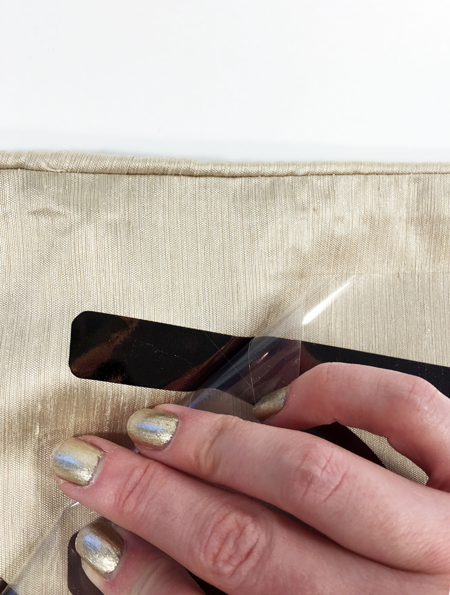 Metallic iron-on can be really tricky to use and nothing is more frustrating than having your perfectly designed project ruined as you carefully peel away that protective plastic! So I am here to walk you through the tricks that I use to avoid that wrinkled look. First you’ll choose the project you’d like to create. 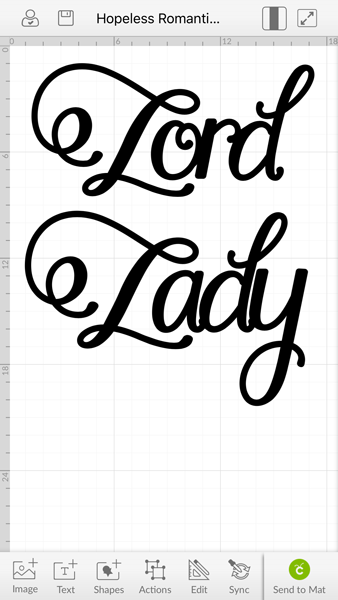 I chose the Lord and Lady pillows used at a Victorian inspired wedding reception. You can find this amazing design on Design Space HERE! Next, be sure that you lay the SHINY side down of your Cricut Metallic Iron-on (I used it in Espresso). 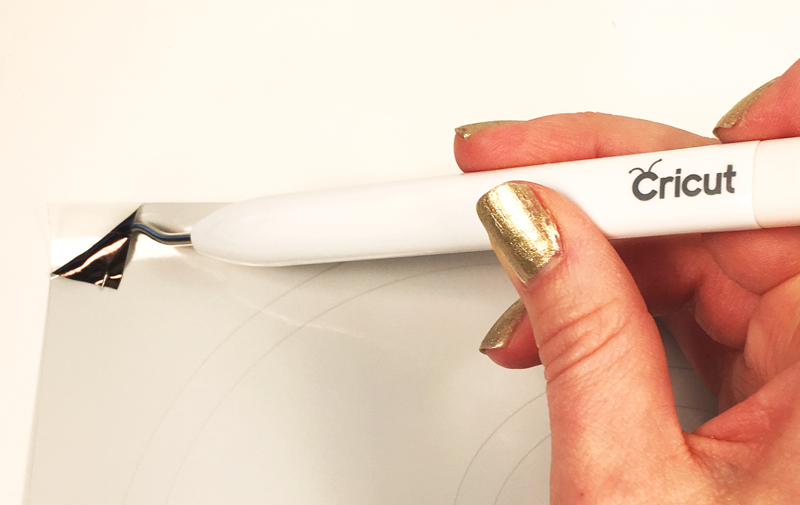 Once your design is cut it’s time to remove all the excess iron-on. 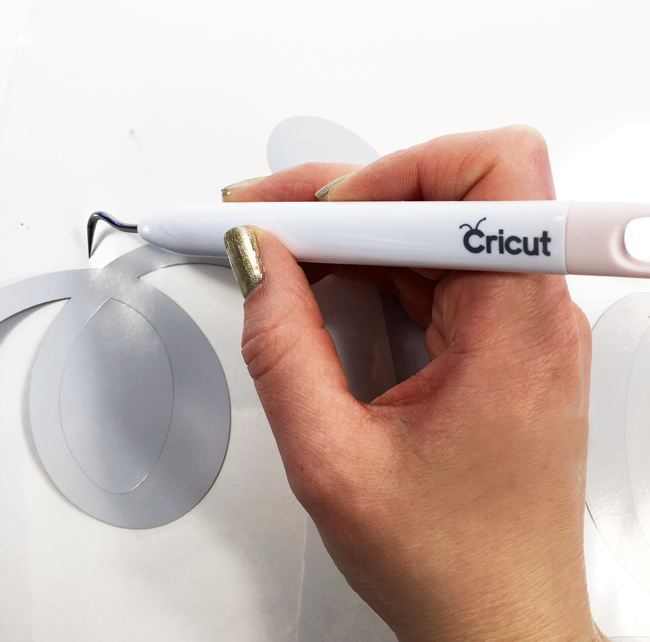 Sometimes, separating the two layers at the corner can be tricky so I opt for using my Cricut Weeding Tool to puncture the top layer and then pull up the corner to start the process of weeding. TIP: Feel free to be as rough as you’d like as you remove the iron-on! It’s pretty hardy stuff and is a great way to get out any of that pent up energy. Intricate projects can be a little confusing on what part of the design needs to stay and what part needs to go so I have a process that I use. It goes like this: Out. In. Out. Another way to remember is Remove. Keep. Remove. You just repeat this process until your entire project is weeded! The prep is probably one of the most important steps. Heat up your iron to the “wool” setting or if your iron is labeled with numbers instead of textiles I use the setting in-between 4 and 5. You then need to heat the area where the iron-on design will be placed. When the design is correctly situated, lay your press cloth over and begin pressing. 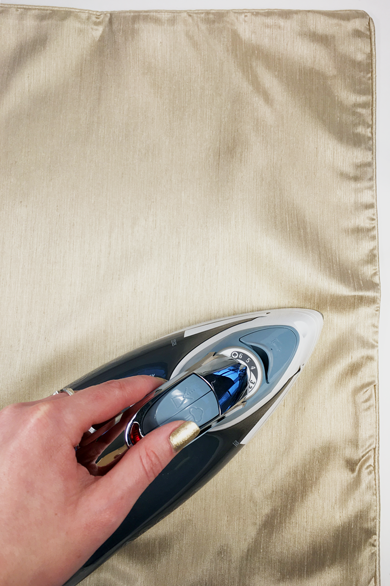 AVOID moving iron back and forth or in a circular motion. Simply press and hold iron in one spot for around 20 seconds, lift iron and move on to the next area. Repeat this process until entire image is pressed. TIP: It is also a good idea to flip the project over and heat the area from the back. I feel that this helps the iron-on to last longer. After the entire area has cooled COMPLETELY, test a corner to make sure the iron-on has adhered properly. If it starts to lift with the plastic, replace and return to previous steps until you are able to easily lift the plastic from your project. 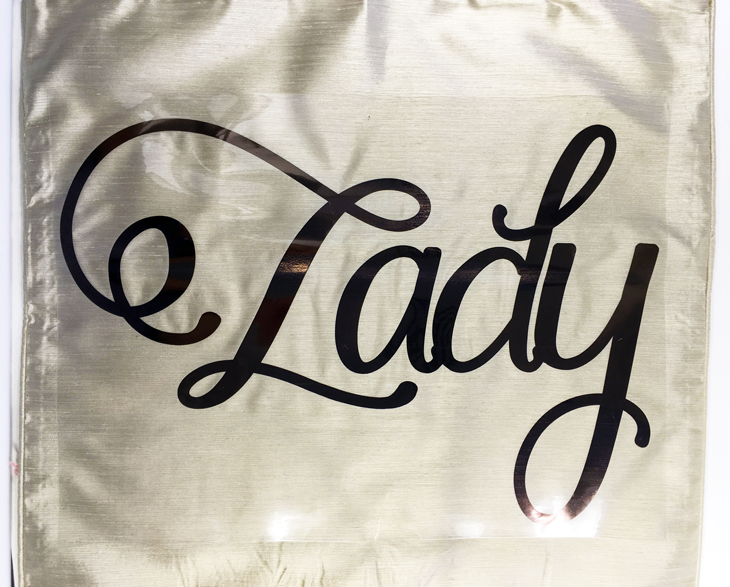 Patience really pays off when it comes to using metallic iron-on. Not only will your projects look professionally done but also you will feel proud of the creation you produced! Now go make it and tell us what you think of this tutorial in the comments! Cuttlebug, Glitter, & Bags, Oh My!